HomeFront Page PostsOn Your Mind: Bad habit or a spending addiction? On Your Mind: Bad habit or a spending addiction? With the holidays coming up, I’m feeling both excited and nervous. In the past few years, it feels like I’m spending money without really thinking it through. I do get a “rush” from shopping, and Black Friday is one of my favorite days of the year. 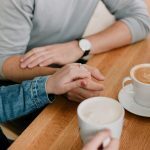 I have a hard time turning down a “deal” even when I don’t need it, and this habit sometimes causes problems in my marriage. How can I tell if this is just a bad habit or a spending addiction? 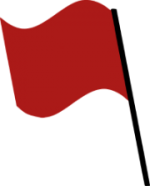 What are the red flags to watch for? I don’t want this to spin out of control. Thank you so much for your question! I’m sure you aren’t the only one who has had thoughts like this. I’m also proud of you for taking proactive steps to avoid the out-of-control spiral. The holiday season is upon us and for many it’s a time to celebrate with family and friends. This often includes indulging in more food, alcohol, and shopping. For those who are already dealing with life stress though, the additional pressures of the holidays can make impulse control during this season more than they can handle. Because the holidays can be a time of indulgent behaviors of many types, I want to discuss risky behaviors in general and also answer your specific question about shopping. 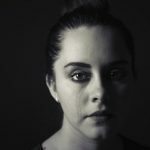 When looking at gender, research shows that women are more likely to have negative feelings which result in increased guilt, anxiety, and depression. 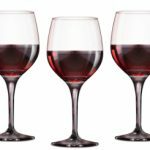 These symptoms can be further intensified during the stressful holiday season and only increase the thoughts or desire to drink more, eat more, and/or spend more to cope. Am I spending excessive amounts of time engaging in the behavior or even spending too much time thinking about shopping, drinking, food, etc.? How do I feel before, during, and after I engage in the behavior? Does excitement or anticipation get deflated by guilt, shame, or embarrassment after I’ve engaged in the behavior? Do I shop (drink, eat) to escape or feel temporary relief from something? Has anyone ever expressed concern about my shopping, (or drinking or eating)? Or do I hide it so people can’t confront it? Have I tried to cut back, set limits, or quit but was unsuccessful? If your answers to any of these questions caused pause or concern, then I suggest reaching out to a professional. 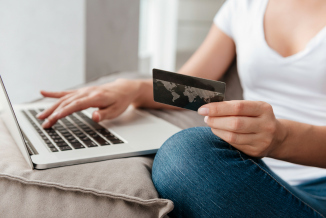 Research shows that most who struggle with compulsive shopping/spending typically experience a co-existing condition — conditions including anxiety, depression, or self-esteem issues — and they tend to be more impulsive than the general public. Shopping addiction is not something someone can easily quit “cold turkey,” especially considering that we all have to shop for the basic necessities of life and electronic devices give us fingertip access 24/7 to our unhealthy coping or “drug.” Learning healthy ways to cope with stress and addressing issues of life balance are the keys during this busy time of year. Here’s the good news: Compulsive shopping or spending disorders, like all addictions, are treatable. Some people begin their recovery by seeking professional help to learn more about their mental health and addiction issues and gain skills necessary to cope with life’s stressors in a healthier way. Ozark Guidance offers behavioral health services for individuals struggling with mental health and/or recovery issues. 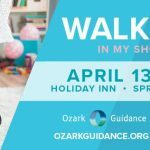 For more information about services for you or a loved one, visit our website at www.ozarkguidance.org or contact us at 479-750-2020. Therapists at Ozark Guidance would be happy to answer your questions and read what’s on your mind. Click here to read more questions and answers in the On Your Mind category. Click the butterfly icon below to fill out an anonymous submission form with your question or concern. The form contains NO identifying information and is designed to give local women an online place to share concerns with a person qualified to offer feedback. Disclaimer: This RESPONSE does not provide medical advice It is intended for informational purposes only. It is not a substitute for professional medical advice, diagnosis or treatment. Never ignore professional medical advice in seeking treatment because of something you have read on nwaMotherlode or Ozark Guidance websites. On Your Mind: How do we settle this argument without resentment?